JumpSheep: A loom for knitters? 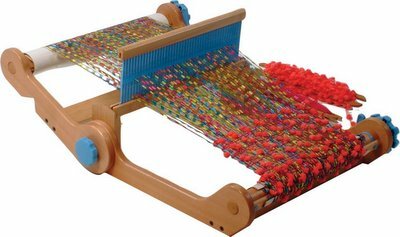 Yes, says Ashford, with this portable-as-a-laptop loom. It has holes and slots large enough to take fancy and funky yarns.